With available blind spot detection, available autonomous emergency braking and a standard 6-speed dual clutch transmission, your new 2019 Niro has the intelligence to take you where you're going with ease. Whether it's a night out in Grand Rapids, MI or a cross-country trip, trust a 2019 Niro from Elhart Kia to get you there! 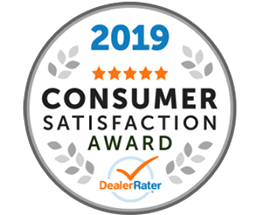 We know our Hudsonville, MI area friends and family love their tech, that's why we're so excited to show you all that your 2019 Kia Niro brings to the table. Ready? Let's get started with the car's ability to bring the party. That's right, with the Harman/Kardon® Premium Sound System, you can enjoy all of your favorite tunes the way they were meant to be heard. And we can't forget about Apple CarPlay and Android Auto™, which allow you to check the weather, send texts and more – all without lifting a finger. Then there's the convenient wireless charging pad, ensuring you always have enough juice to keep yourself going long after the drive is over! You can drive confidently knowing that you have Kia Drive Wise at your back. What is Kia Drive Wise? It's an integrated suite of safety features perfectly suited for your 2019 Kia Niro. It'll help you get where you're going no matter what the road conditions in Holland, MI are like. Take advantage of the Niro's lane change assist and rear cross-traffic alert system, along with the available smart cruise control functionality offered on the 2019 Niro. Now that's a smart way to drive! UVO is the future of the automotive industry and it's only available through Kia. Lost your car in Zeeland, MI? No problem with UVO. Use the handy app to record your vehicle's location on your Apple or Android device so you can find it later. Want to know where to go in a new city? The UVO app can also point out great POIs in your area and set up directions in your Niro. Need roadside assistance? Let the UVO app send help your way quickly and efficiently. See, no matter where your destination is, UVO will get you there easier. The Niro may be the perfect hybrid vehicle. With its energy-dense 1.56 kWh lithium-ion battery and 1.6L, gasoline-direct injection (GDI) engine combination, the Niro has the heft you want with the eco-friendly energy you crave. And since the Niro hybrid brings in a regenerative braking system, you'll be able to reload all that juice you lost for the next leg of your drive. Ready to experience the 2019 Niro for yourself? Contact Elhart Kia near Grandville, MI and we'll get you set up in a Niro of your choice. Come in for a test drive today! 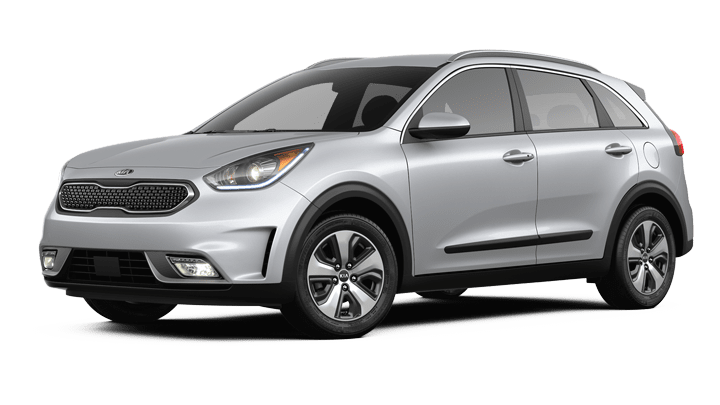 With the 2019 Kia Niro, you can have it all – great performance, great style and great tech. Come into Elhart Kia today to test drive a new Niro!